The Best Possible Marketing Decision? This IS It! Here is THE Best Possible Marketing Decision You Can Make For Your Small Business! What Is The BEST Possible Marketing Decision? Well, of course! It's the one that costs the least and generates the most revenue. But what IS that choice? 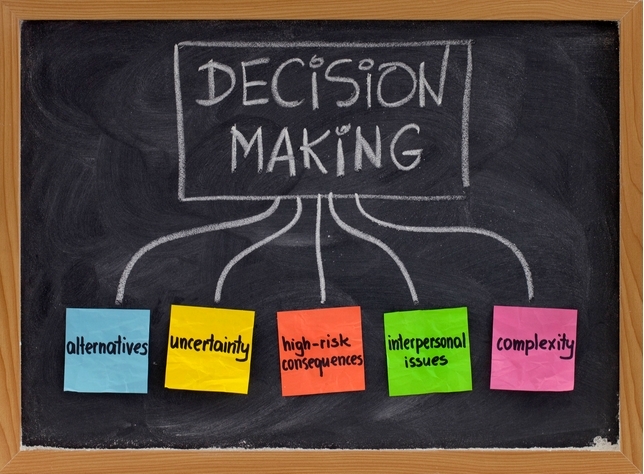 How do I figure out what the best possible marketing decision really is? OK. That's what this page is all about. If you have a small business established or if you are just starting your small business, you are most likely thinking of ways to market the business effectively. The best marketing decisions MUST be effective and also affordable so that you can be profitable. If neither of those things happen, YOU LOSE. As a former advertising rep, I am quite familiar with both the costs of these different types of advertising/marketing and also the EFFECTIVENESS! - Greatest ROI. The LARGEST number of potential customers the highest level of targeting so that they are the RIGHT customers who are most likely to buy! - Timing. The only upcoming/currently HOT medium that everyone already IS or soon will be using above ALL of the other choices. - Interactivity! You might say the Internet is "alive". You may fully interact with prospects and current clients. Everyone carries a MOBILE device! And you actually MAKE SALES directly ON the web! ONLY the Internet enables you to present the FULL STORY about you and your business! There are no limits! You may change, add/delete anything you want ANY TIME you want. You have 100% 24 hour, 7 days control over your message and strategies. OK. You should be getting the "picture". So let's take a look at the real thing. 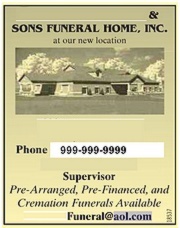 Here is a real-life typical small business Yellow Pages AD ( actual size). It would cost generally about $150.00 a month as you see it. That is for ONE town, ONE category and with NO color and NO ability to change the ad for a YEAR! If you want TWO categories or TWO towns or COLOR, you double, triple, quadruple your monthly costs. OUCH! Now, each of the media above has merit. Each may also have a distinct advantage over select others depending on what your immediate goal might be. HOWEVER, as an entrepreneur, existing small business or start up, you need a BASE strategy in place FIRST. 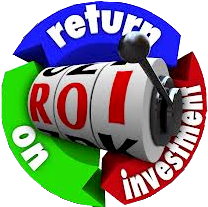 It's ALL About The Best Possible Marketing ROI! That base strategy must be the Internet. It becomes the HUB of ALL of your future marketing, advertising, communications and SALES activities. If you can budget for only ONE thing. To really make this as clear to you as possible, I have another page comparing the Yellow Pages to the Internet. The link to the page is just below. You may substitute EVERY one of the other choices for the Yellow Page in this next article. Cost comparisons and overall value comparison will be essentially the same. I think you will agree that making your story told using the Internet is THE best marketing decision possible. By the way, when you are ready to get started, just call us and we'll help you every step of the way. It is much EASIER than you think! You should immediately read THIS PAGE now.